Jones Act cases are typically worth how much the incident cost you initially and affected you long-term. Add up all of your out-of-pocket costs and then add twice that amount to account for your intangible injuries to figure out what your Jones Act claim can be worth. How much can I get? When speaking with injured sailors, this is usually the first thing off their tongues. You can hardly blame them. Most people only contemplate bringing a claim to trial after suffering substantial losses because they take time and energy. 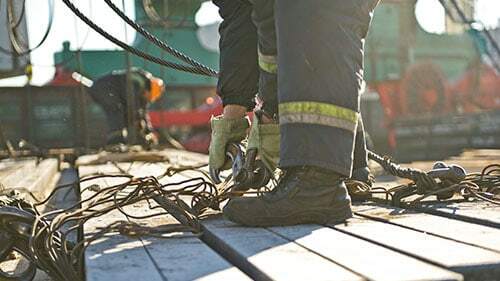 Seamen have some of the most extensive injuries and damages so they want to know if they can get them reimbursed through a lawsuit. Answering exactly how much any particular case is worth, however, involves analyzing a number of factors such as costs, long-term suffering, case strategy, and case preferences. A good place to start is to calculate costs because they are undeniable but, remember, you can also recover for intangible losses that you will suffer in the future due to the accident. What Expenses did the Jones Act Injury Cause You? How did the Jones Act Injury Affect You? How do You Calculate Jones Act Claim Worth? What can You Prove in Your Jones Act Claim? What is the Timeline of a Jones Act Claim? Generally, Jones Act incidents come with certain expenses including medical, transportation, and property damage. To figure out what a Jones Act claim will be worth, tally these expenses and others related to the event. Where are your receipts? Sea injuries inflict medical bills, prescription costs, transportation charges, and a whole basket of other expenses. Sailors should not have to shoulder these if the incident was caused due to the negligence of the ship owner, captain, or another crewmember. Also, these costs are incredibly important to itemize and highlight at trial because they indisputably show a jury that you were harmed and affected in a material way. They set a baseline of what your case could be worth, assuming you had nothing to do with the accident. Typically, Jones Act accidents affect sailors long after the actual event. They suffer enduring pain, disability, disfigurement, and other intangible harms that are all recoverable in court. You can add on to the baseline of case value that injury expenses set by mentioning long-term suffering, disability, or disfigurement. All of these intangible kinds of harm pop up in ship accidents and they do so frequently. If you suffer any of these, you might find yourself unable to do things you used to be able to do. Additionally, you can experience a lack of self-esteem, changed quality of life, and pain on a regular basis. It might be harder to prove to a jury that these changes exist but the law definitely recognizes them as a source of damages in your Jones Act claim. You calculate Jones Act claim worth by looking at a couple of key categories. First, add up all of your out-of-pocket expenses. Then, note any intangible, non-economic injuries. We typically see compensation for the latter as much as two times what the expenses were. Therefore, if you had one hundred dollars in out-of-pocket expenses, you could see as much as two hundred dollars in compensation for non-economic losses making a total of three hundred dollars in recovery. This is just a crude example and not predictive of any specific case because they are all different. However, it is a good rule of thumb that can help begin the estimation of possible compensation. In a Jones Act case you have to prove that a ship owner, captain, or crewmember negligently injured you or that the ship was unseaworthy while you worked on the vessel in passage. You might have all the damages and injuries in the world but if you cannot prove them then you cannot recover for them. This is where good representation makes all the difference in the world. A qualified attorney can come in and itemize all of your expenses, chart all of the medical visits you made, and analyze how past plaintiffs have demonstrated their non-economic losses. There are particular ways in which the court recognizes these claims and unless you have an attorney that understands this you can lose out. Our group of sea injury lawyers has worked with sailors in the past and can show you exactly what you need to do to obtain recovery. We invest all the staff, resources, and attention that every case deserves so that seamen get compensated and can move on with their lives following an incident. The timeline for Jones Act claims is usually one year to one year and a half. Also, the path is normally investigation, discovery, and then trial or settlement. There is some variation but this is the general template for litigation. Your Jones Act case value can be affected by the timeline you chose. However, you might find that you would a quicker settlement versus going through the whole procedure of trial. If you do, then your compensation could be shaped by that decision. Average settlement values of Jones Act cases differ from average jury awards and it is important to speak with an experienced attorney to understand the difference. This case started out explosively. That isn’t a figurative statement. The plaintiff was working on a boat. It was docked on the Mississippi River. It had come up from Puerto Rico. When the incident occurred, it was in Illinois waters. The man was just 37 years old. He was in the engine room. Someone was working on one of the air tanks. Yet, there wasn’t a relief valve on it. Also, there didn’t appear to be a drain valve. At some point, it exploded. The force sent him flying in the air. He came crashing down on his neck. The event left him paralyzed. He needed multiple surgeries and long-term treatment. Still, his life would never be the same. He obviously couldn’t work. Plus, he had to deal with the pain of the accident. He brought a Jones Act claim. He listed these issues and sought compensation. His past medical bills totaled over $500,000. His project future care costs hovered around $1 million. In the end, the company’s insurance company sought to settle. They gave the man over seven million. This represented his past/future care. It also paid him for his changed life and suffering. Finally, it accounted for his lost income. This is one of the highest Jones Act claims in Illinois history. This Jones Act suit was a slip and fall type. A man was working on a dock when he fell into a pile of ratchets. He was 67 at the time of the event. He brought a claim to recover. He alleged the defendant should have laid non-slip paint. Also, he complained that the ratchets weren’t properly stored. For his damages, he alleged various injuries. He tore muscles in his shoulder. Some of those had to be repaired through surgery. He also lost money because he couldn’t work. In discovery, documents showed that the defendant was aware of the slippery surface. This helped the plaintiff’s case a lot. It further highlighted the egregiousness of the situation. It made the defendant look more negligent. However, the plaintiff still had challenges of his own. He had to overcome the response that he too was culpable. Defendants often charge plaintiffs like this with comparative negligence. This means they shouldn’t recover if they took part in the fault. Put another way, the plaintiff could have avoided incident with more caution. To combat this, the plaintiff needed to show that the defendant’s unreasonable conduct was more to blame for the accident than his own. When it appeared likely that he would do that, the defendant sought to settle. Note, his medical bills and lost income were paid immediately. That was due to the fact that this was a Jones Act claim. The settlement amount above took care of his suffering, pain, lost normal life, and future lost income. This tragic tale involved a carpenter. He was working on a barge. The ship was going down the Chicago River. As it reached the corner of Archer and Ashland, trouble sprang up. The man was high up on a crane. He was taking down a platform off the Stevenson. The city had been engaging in reconstruction. As he was doing this, the crane toppled over and he fell to the water. A bunch of his coworkers jumped into the river to try and rescue him. Yet, they couldn’t remove him from his safety suit. He drowned because of that. He was survived by a wife and four kids. They brought a claim for damages. This was a Jones Act case because of the man’s employer. Their suit largely rested on wrongful death. They sought compensation for his passing. The damages they cited included lost support, companionship, and expenses. Their main target was the crane maker. They drew out a products liability argument. Then, they pointed to the business as responsible for his death. Had it not been for the defectively made crane, he would still be alive in their opinion. In the end, it was that business that paid the most to the family. The company’s insurer gave the family $2,000,000. The employer added about $5,000 and the barge owner added roughly the same. This claim shows how simple accidents can affect seamen for the rest of their lives. Here, a young worker was injured. He was only 24. The incident took just a second. It’s the kind of thing that happens all the time. He merely slipped and fell. In most cases, people get up and think nothing of it. Yet, because of the dangerous setting, the effect here was far greater. The man was told to couple two barges by his boss. They were on the Chicago River, near the downtown area. The lighting wasn’t good. There was gravel on the edges of both boats. The two edges had the same color. This is important for differentiation purposes. Anyways, he jumped down there and tried to couple them. In the process, he slipped, and his foot got caught in between. It was smashed entirely. It had to be amputated above the knee. For the bills, the pain, and the long-term damage, he brought a case. Due to the type of work and employer, it was a Jones Act claim. The case settled. Thus, we can’t decide how issues of negligence would have played out. We can see where the compensation came from though. He got about $516,043 for past medical costs. He obtained $2,000,000 for future medical costs. He received $42,000 for maintenance. Finally, he recovered $600,000 for future care and suffering. This last portion also went to lost income. Thus far, we have touched on several factors that can shape the amount and nature of your recovery in a Jones Act case. However, simply looking at these things will not definitively answer what you can get in terms of compensation from a lawsuit. The facts and circumstances of your particular incident and injury will fall uniquely onto the jury. This is why you need to get in touch with us today. We can give you a better prediction after meeting with you and understanding what happened. Also, we can start all the preparations that Jones Act cases require. So give us a call at (888) 424-5757 or reach us through our site and learn what recovery could be waiting for you!